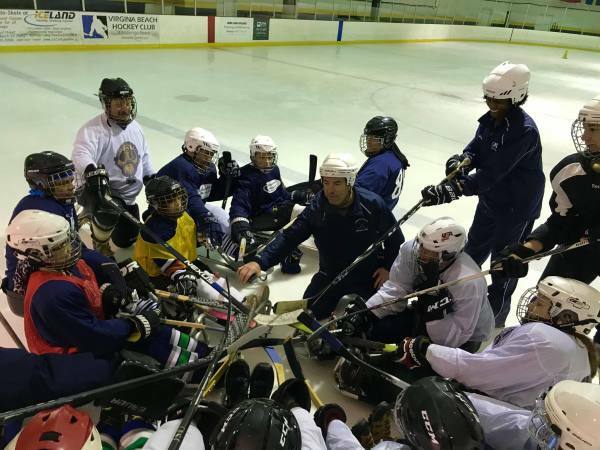 The VBHC Sled Hockey Team is a group of mentors and athletes committed to promoting camaraderie, competition, and athleticism to those with disabilities. Our goal is to develop a team atmosphere and a positive environment for mentors and athletes who want to learn to play hockey. There are no physical limitations to join the team but require a strong work ethic, dedication, and a positive attitude. How do I become a member of the Sled Team? Anyone is welcome to join. Click the Contact Us button below to find out more. Who is allowed to join the practices? The Sled Team is composed of athletes with all abilities. Everyone is welcome. How is the Sled Team funded? The VBHC Destroyers Sled Team part of the VBHC Challenge Team Public Charity. Our players are supported in part by your generous donations. Help support the mission by donating today. Use the PayPal 'Donate' button to the left. How can I donate time, money, or equipment? Contact the Director by clicking on the Contact Us button below, or one of the VBHC Coaches for more information.